Many EDS patients are struggling to get their doctors to understand their condition. This “Bill of Rights” is a tool that may help EDSers communicate with doctors. “The purpose of this Bill of Rights is not to be combative or argumentative. 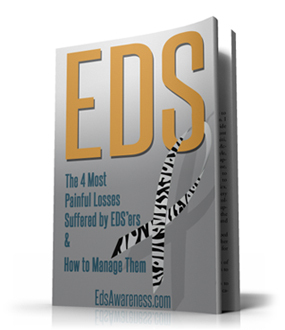 I have experienced all of these things during the time that my EDS was undiagnosed. My experiences don’t seem to be unique. Many members of the support groups I participate in have had talked about similar experiences with new doctors. Because of these issues, I have a very hard time trusting doctors. This is common in patients with Ehlers Danlos Syndrome. The sole purpose of this Bill of Rights is to ensure that my needs are communicated up front, and to discuss them with you so that we can build a great doctor-patient relationship. 1. I have a right to be treated by medical professionals that believe that Ehlers Danlos Syndrome exists. It is hard to believe that there are still people in the medical community that don’t even think hypermobility causes problems and chronic pain. My hypermobility is not benign, and my symptoms are NOT limited to my joints – because collagen is not limited to my joints either. 2. I have a right to be treated by medical professionals that believe that I have Ehlers Danlos Syndrome. This is a rare condition, but invalidating my diagnosis on the first visit means that we can never have a good relationship. I’ve struggled fifteen years to find an accurate diagnosis, and I won’t be treated by someone who thinks my diagnosis is wrong on the first visit. 3. I have a right to be treated by medical professionals who are willing to continue their education to provide support and treatment that is appropriate for my specific condition. EDS is such an unusual set of disorders, the cookie cutter approach to treatment will not work for me. I have tried so many treatments before arriving here that it’s very unlikely that any solution for me will be simple, and as a doctor you must be willing to think outside the box. 4. I have a right to be treated by medical professionals who believe in my complaints. As a patient with undiagnosed EDS, I was often questioned extensively about my symptoms and then accused of being a hypochondriac or malingerer. You must believe that I don’t want to be sick either, and that my symptoms are real. I need to trust you, and a huge part of that is knowing that the trust is mutual and that you believe in my will to improve. 5. I have a right to be treated by medical professionals that do not solely focus on my psychiatric issues as being the source of my problems. EDS causes anxiety and depression, chronic pain causes anxiety and depression, POTS causes adrenaline rushes and tachycardia. It’s all very complicated, and there are psychiatric issues, but they are more symptoms of a bigger problem and should be treated as such. Don’t dismiss me as anxious or depressed without treating my other problems too. 6. I have a right to be treated by medical professionals who are able to admit they don’t have the answer to everything. In order to find new treatments and make progress, it is imperative that my medical team never gives up on searching for answers. Many EDS patients miss being diagnosed because their medical team labels the issue as fibromyalgia or chronic fatigue and then stops looking for new answers. Diagnosing EDS is likely just one piece of my medical puzzle, so it is important that the search for treatments and answers doesn’t end there. 7. I have a right to be treated by medical professionals who take my pain seriously and work to bring it under control. The link between unbroken pain cycles and psychiatric issues in the chronic pain patient isn’t debatable. I realize you are bound by laws and your oath, but EDS is very painful and often requires use of strong medication and other pallative interventions. If you don’t believe in the severity of my pain, if you don’t have the resources to treat my pain, if you think I am drug seeking, tell me so that I can find a doctor who is able to help me. 8. I have a right to be treated by medical professionals who respect my intellect and knowledge about my disease. 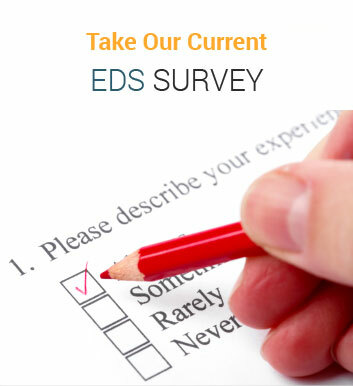 Because EDS is a rare condition, we are much more informed about our medical issues than your average patient. 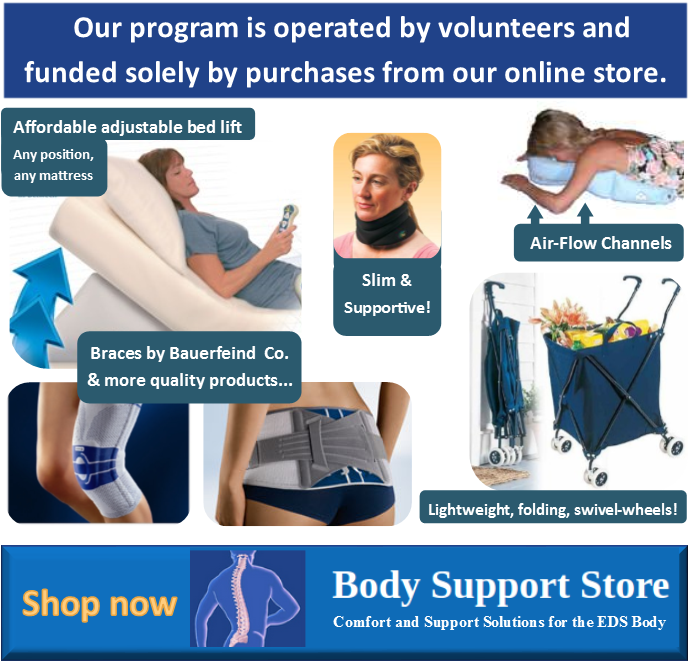 We live EDS every day, some of us research our conditions every day. Unless you are putting in the same number of hours researching my issues, please don’t dismiss me when I come to you with a specific concern. I am open to being wrong (and if it’s a bad thing I *want* to be wrong). Please explain to me why I am wrong though, so that I don’t need to worry. My disease has made me capable of understanding things that your other patients might not understand. Share this with your doctors or other caregivers.